Get everyone involved with our custom gaming tables. 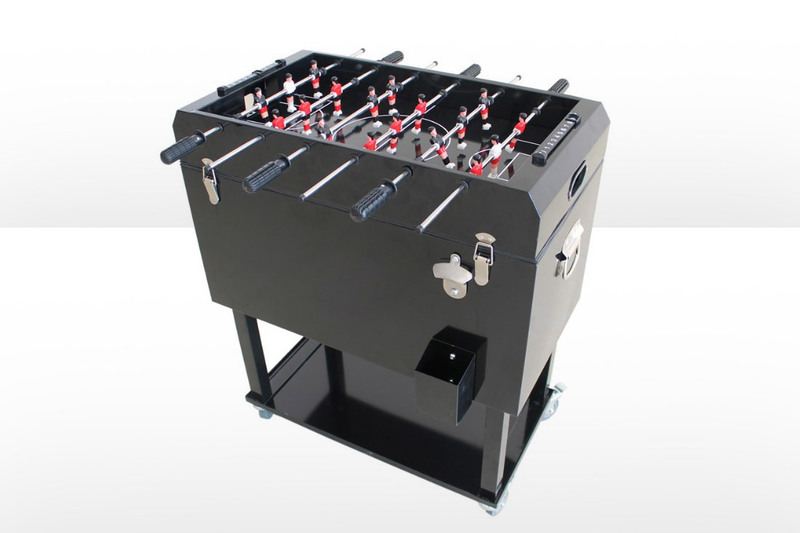 We offer a great range of unique custom-made gaming tables from foosball cooler tables to poker and pool tables. These feature high quality designs and come in a selection of styles and colours that can be branded to match your specific design requests. We also use various surface materials including: felt, PU leather, merino and nylon to ensure both quality and durability is produced to a high standard. We can custom design any size or style with full colour printing or engraving. Our tailored approach to designing your logo allows for creativity and quality to come together, creating a great finished product for your brand.